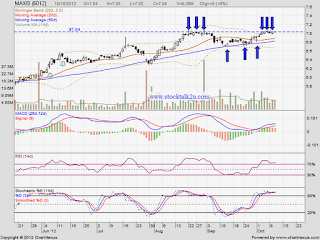 MAXIS keep retest RM7.04 resistance level & unable break through. If retrace down, MA20 will be the immediate support. 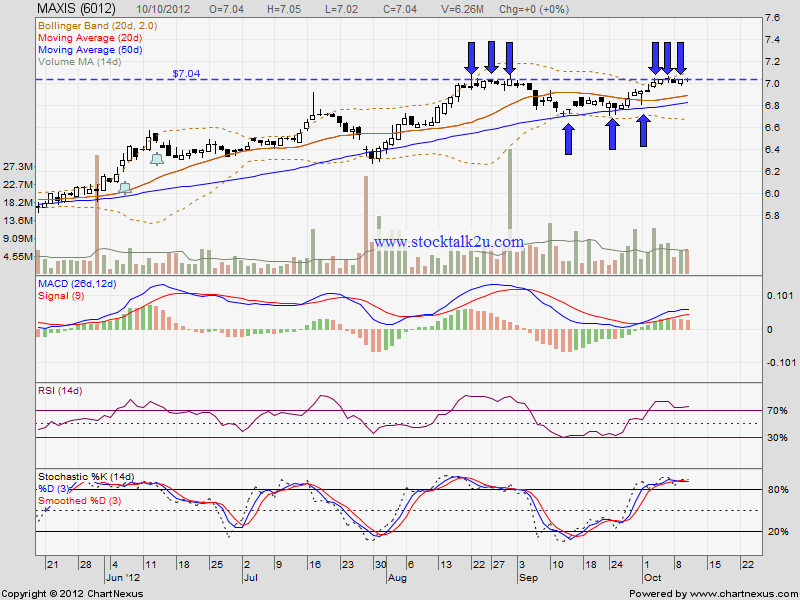 However, if able break through RM7.04, higher high been formed. It will be another wave of uptrend.